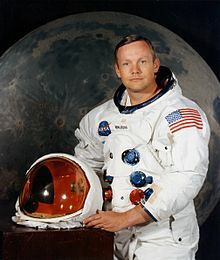 Neil Armstrong truly went where no man had gone before when he became the first human to touch down and then walk our moon’s surface. He’s been a part of my life since I was in grade school. I had joined the many millions around the world who watched on all our black and white TV screens and held our breaths as he landed on his feet and took that historic first step. “One giant step for man, one giant leap for mankind,” is the one line heard round the world and emblazoned forever in the imaginations of humans looking towards the night sky and daring to dream, whatever dreams they have for themselves. Today, I heard the news of Armstrong’s passing at the top of the hour on a Canadian Broadcasting Corporation’s radio program (CBC). Be your unique real self and bring all that you are to your work. Let your creativity fly high yet be grounded in what is attainable. If you don’t have the right stuff to attain your dreams, get it: skills, spirit, connections and most of all stretch and do things a little out of your usual orbit. Find and develop the right team and fly higher, together. 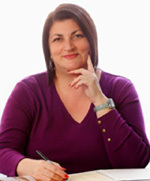 Adapt your message to the mission of the individuals in your audience as they are piloting their own dreams. Be present in your step forward yet keep your eye on the future. One sentence can capture your entire concept, can relay your purpose and create a relationship to last a thousand words to come. Thank you Mr. Armstrong, wherever you are now. You set the trail for other space travelers and for the rest of us earthlings to bound enthusiastically into uncharted territories – be it new enterprise, personal development or the business of helping others leap with our working talents. 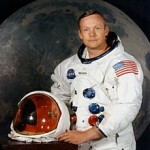 Read about Neil Armstrong’s heroic life in this N.Y. Times article in their Space and Cosmos section.